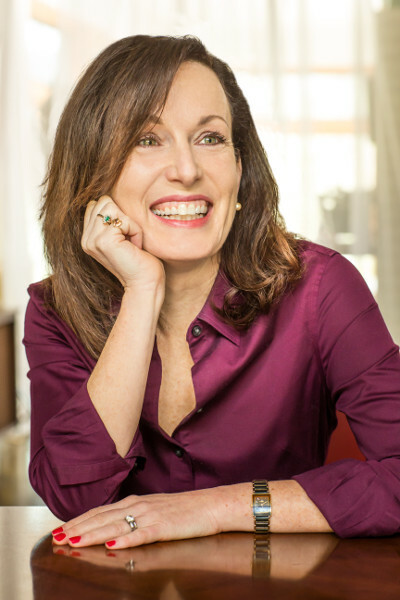 USA Today and International Best-selling author Alison Gaylin has been nominated for the Edgar three times. (Most recently, WHAT REMAINS OF ME was nominated in the best novel category.) Her critically acclaimed suspense novels have been published in such countries as the U.K., France, Germany, the Netherlands, Norway, Japan and Romania. She has won the Shamus and RT Reviewers Choice Awards for her books, and has been nominated for the ITW Thriller, Anthony and Strand Book Awards. Her books have been on the bestseller lists in the US, Germany and Belgium. 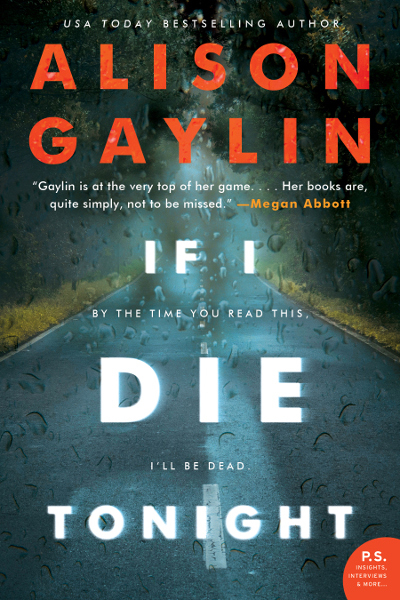 IF I DIE TONIGHT (out March, 2018 from William Morrow) is her tenth book. NORMANDY GOLD, the graphic novel she wrote with Megan Abbott, is out from Titan/Hard Case Crime in April, 2018. Check out her website here and Twitter here. Late one night in the quiet Hudson Valley town of Havenkill, a distraught woman stumbles into the police station—and lives are changed forever. Aimee En, once a darling of the ’80s pop music scene, claims that a teenage boy stole her car, then ran over another young man who’d rushed to help. As Liam Miller’s life hangs in the balance, the events of that fateful night begin to come into focus. But is everything as it seems? The case quickly consumes social media, transforming Liam, a local high school football star, into a folk hero, and the suspect, a high school outcast named Wade Reed, into a depraved would-be killer. But is Wade really guilty? And if he isn’t, why won’t he talk? Told from a kaleidoscope of viewpoints—Wade’s mother Jackie, his younger brother Connor, Aimee En and Pearl Maze, a young police officer with a tragic past, If I Die Tonight is a story of family ties and dark secrets—and the lengths we’ll go to protect ourselves.